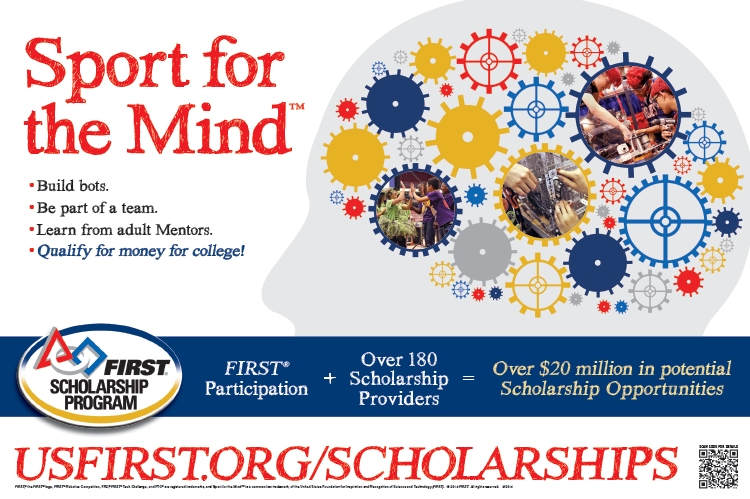 This is a poster for FIRST Scholarships. They were looking for something different to put in high-schools to entice students to get involved but also educate current FIRST participants about all the great scholarship opportunities. We flipped the orientation on its side and went with a handwritten font to help it stand out. The FIRST Robotics Competition, dubbed the varsity Sport for the Mind, combines the excitement of sport with the rigors of science and technology.